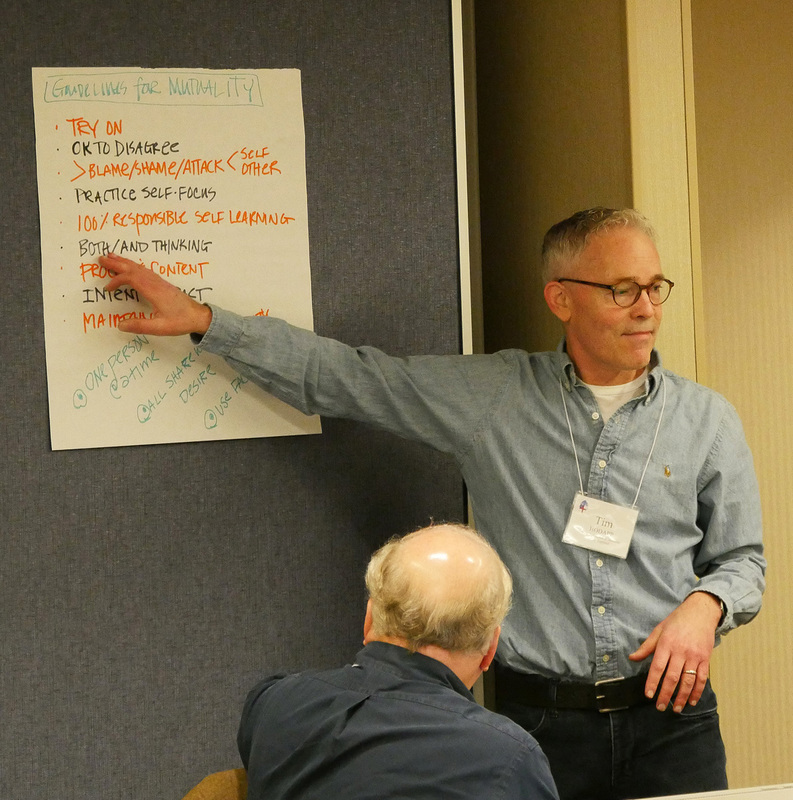 During the meetings this week, the two task forces began to set the scope of their work and to determine where those efforts would overlap and where they would have specific distinctions. The task force assigned to study sexism and develop anti-sexism training materials began by discussing the theological and cultural aspects of why the church ought to do such work. The task force also outlined ways to define sexism, including where and how it happens and whom it affects. 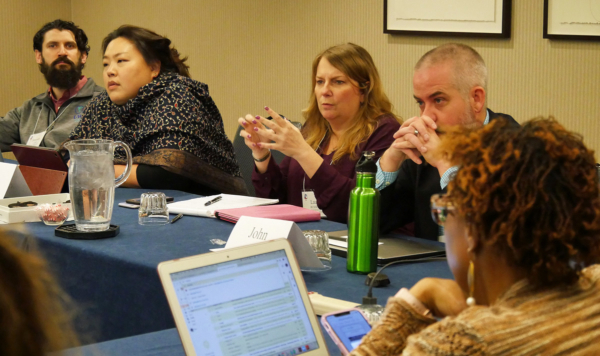 The group tasked with developing model anti-harassment policies also plans a training component, and the two task forces agreed to coordinate their work whenever possible. The anti-sexism task force’s early thinking about training centered on developing a set of modules that could be used in a specific order by many groups and incorporated in their routine meetings and other gatherings, rather than requiring a large group of people to come to an all-day or multiday training. “The idea being it’s not going to be: come together Friday afternoon, leave Saturday and be done with it and check off a box,” Russell said. Northwest Texas Bishop J. Scott Mayer said he feels “the magnitude” of the work given to the task force, whose members, representing a “cross section of knowledge” from across the church, can meet the challenge. 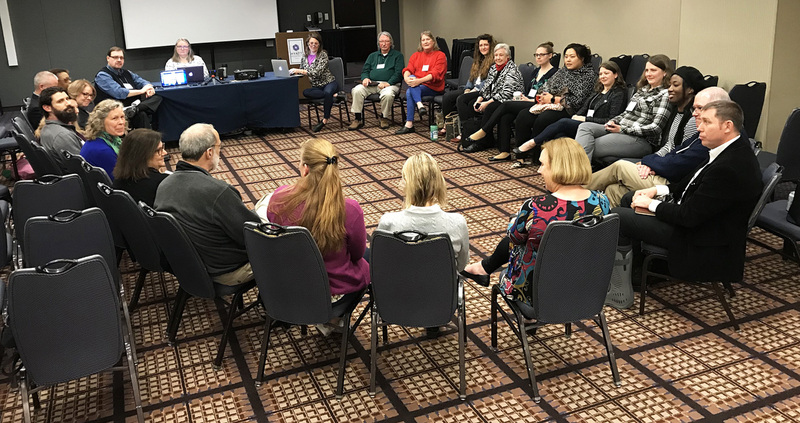 The Task Force on Theological Education Networking and the Task Force on Formation & Ministry of the Baptized also found places where they could work together. The Rev. Maureen-Elizabeth Hagen, chair of Theological Education Networking, said during a joint meeting of the two that the networking task force wants to be sure it is not duplicating or contradicting the work of the formation task force. 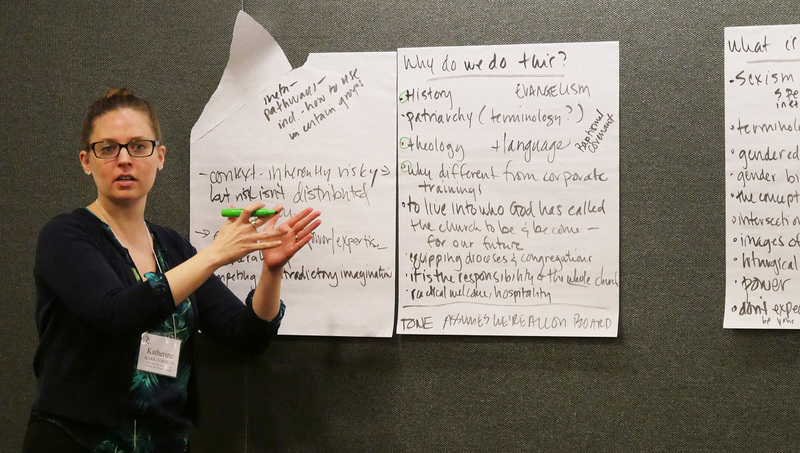 That work, she said, builds on the work of the formation task force, “which is primarily about the call of baptismal living in people’s lives.” Its mandate calls on members to identify or develop resources “for the forming of Christian life, but not just in the church, in daily life,” Kimball said. There are currently 65 interim bodies. Interim bodies are any task force, board or committee created to do specific work as requested by General Convention. Most will sunset at the next meeting of convention in 2021 in Baltimore. The types and numbers of interim bodies have fluctuated since 2015, when General Convention sought to dramatically reduce the number of long-term policymaking bodies, known as standing commissions.